SPEEDING CHARGES IN MONTEVALLO, ALABAMA? 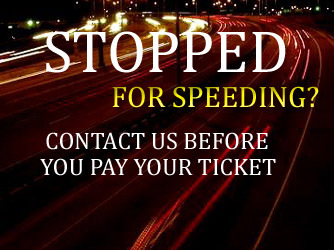 Call Kreps (866) 348-2889 or CLICK HERE if you have been charged with speeding, reckless driving, running a red light or stop sign, or speeding 25 over in Montevallo, Alabama. We will answer your questions and inform you of your options. Our attorneys are experienced, knowledgeable, and professional. Pleading guilty to a traffic charge adds points to your Alabama Driver's License, but our attorneys can help you fight against added points to your license. The attorneys at Kreps Law Firm, LLC have handled hundreds of traffic cases that have yielded favorable outcomes. Our years of experience have given us the knowledge we need to defend traffic charges and get positive results. We have helped clients keep points off their driver's licenses and avoid increased insurance rates and possible license suspension. Call Kreps (866) 348-2889 or CLICK HERE and let our experienced attorneys go to work for you and your Montevallo, Alabama traffic charge. Our attorneys are focused on helping those who have been charged with speeding, reckless driving, running a red light or stop sign, and speeding 25 over. We work hard to get our clients positive results. Our methods of fighting traffic charges are effective, and we can use them to fight your Montevallo, Alabama traffic charge too.